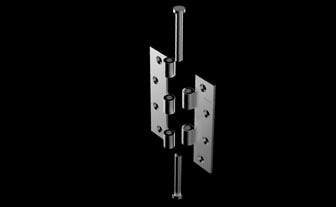 HELIX’s new range of hinges is made from Jindal stainless steel. These hinges have zero play and exact thickness in order to achieve perfect alignment. They are made from coil and offer immaculate finishing. Flat head hinge pins are used for their aesthetic looks. The company will shortly introduce SS self tapping and wood screws.